The Wildest 5k Zombie Obstacle Race is a fun run for all ages! 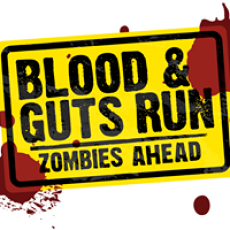 The Blood and Guts Run is the Halloween experience that your family and friends do not want to miss! This is not your ordinary 5k. Encounter hordes of zombies and 10+ obstacles! Finishers receive a custom medal, access to food trucks, Knockerball, costume competitions, dancing, and more!